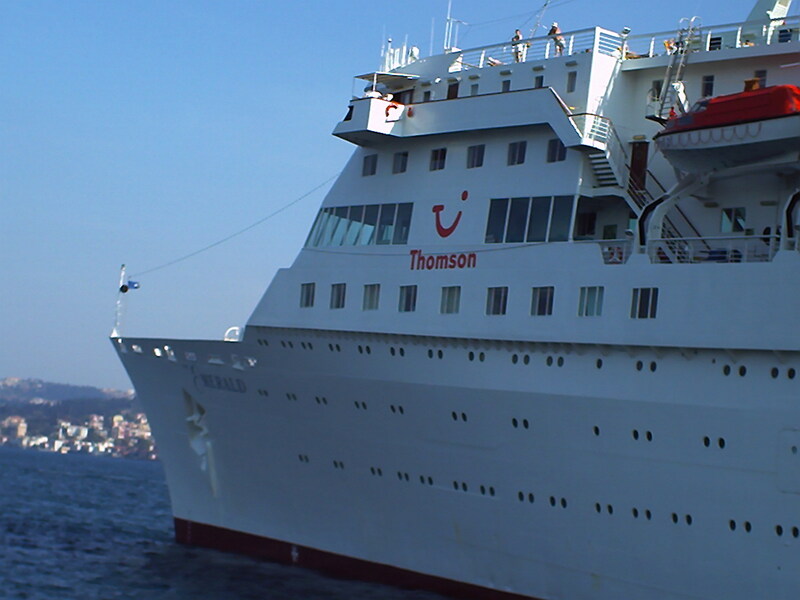 Well, i’ve finished sulking but Thomson have not heard the last from me. It looks like my holidays will evolve around my little house in France from now on. 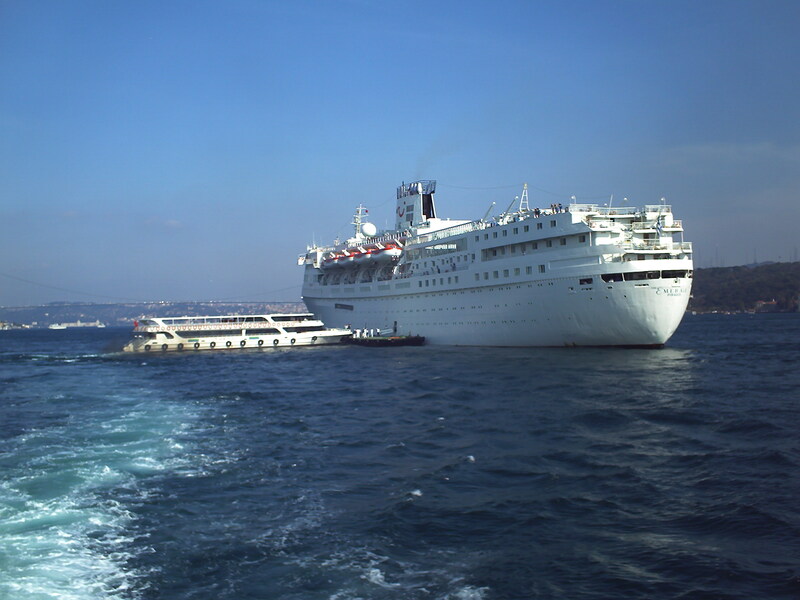 And potentially the odd cruise from any of the companies that like older ships and value their customers opinions. That’s unless some sensible company buy the Emerald and run her for a couple of years before undertaking a small refit in 2010 to meet the new requirements. The news from TUI has actually really upset me. I really don’t feel like using them for my cruising needs after this. I have decided to upload a photo from last years cruise. 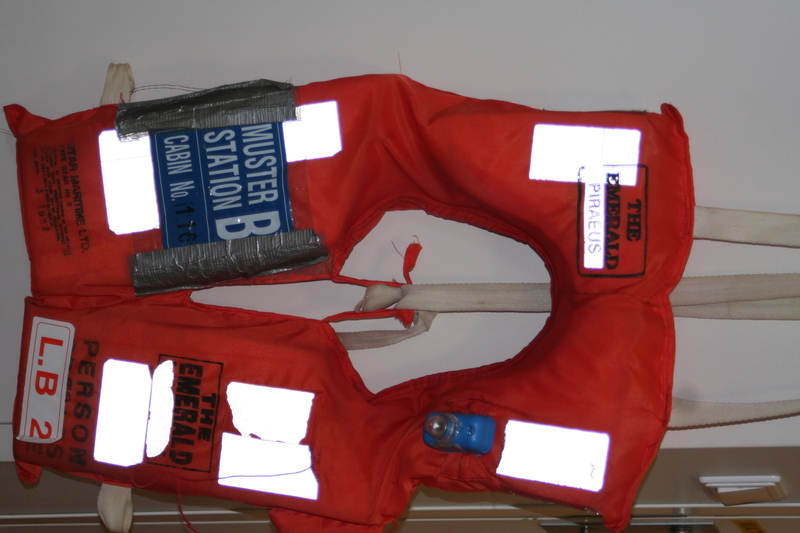 In the foreground you will see the Calypso, behind her the Emerald. I don’t feel that its worth trusting a company and getting comfortable with a set ship if they are just going to whip her out of service. 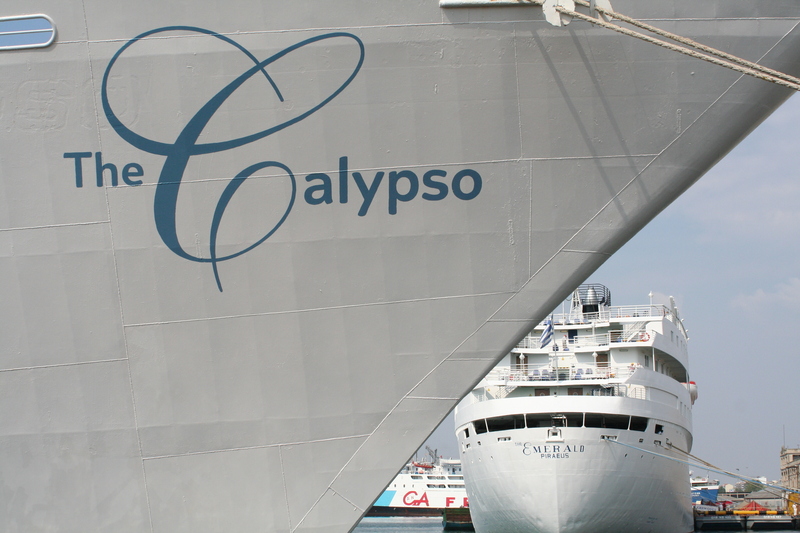 How long will the Calypso survive. Should I switch companies, we shall see.